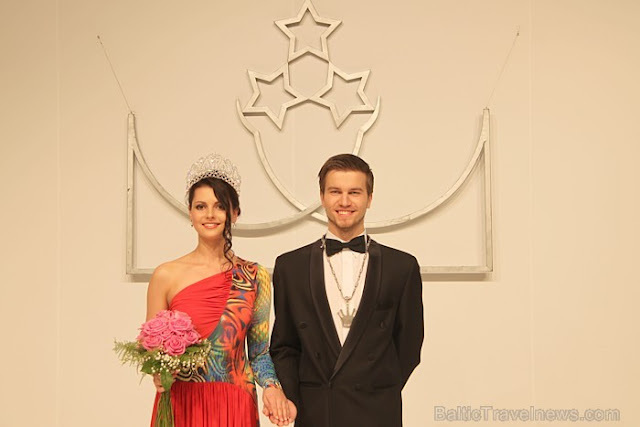 The new Miss and Mister Latvia 2013 are Liliana Garkalne and Mareks Mohovikovs. The couple won their respected titles during a ceremony held at the International Exhibition Center in Kipsala on April 21st. 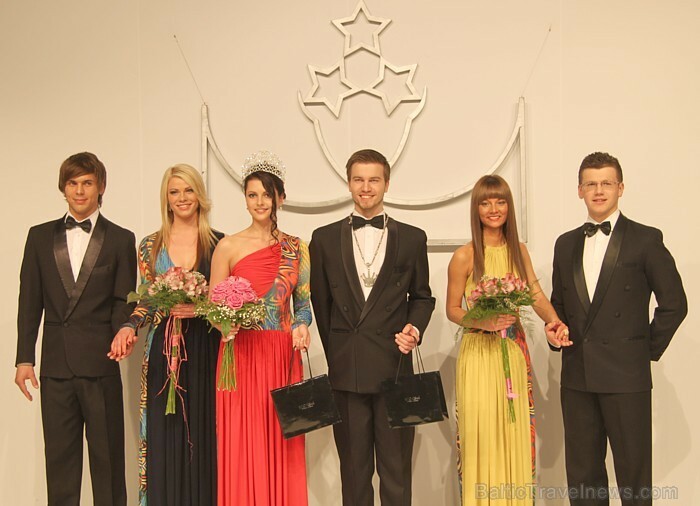 Runners-up in the 25th annual contest were Beate Baranovska (vice-Miss Latvia, second from right) and Guntars Logins (vice-Mister Latvia, farthest right). The other finalists were Alexander Dmitriev (farthest left) and Egija Gailuma (second from left).